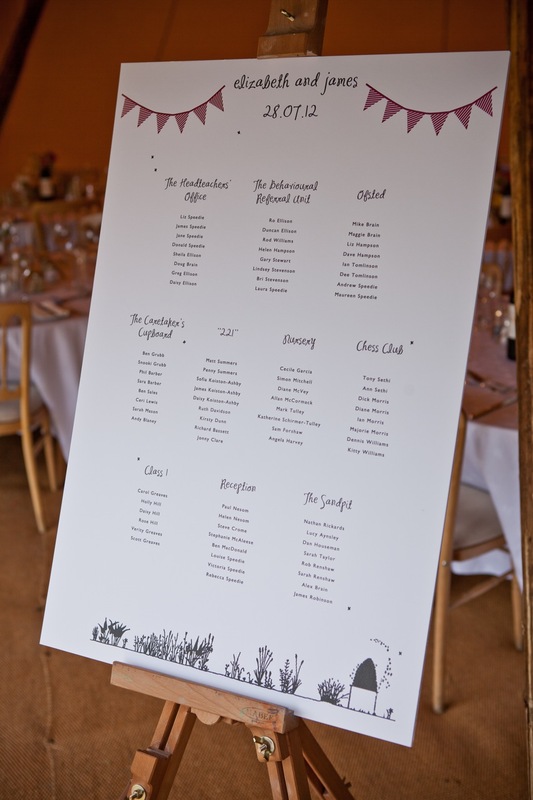 Having just received the beautiful images of another wedding I produced the stationary for (and was lucky enough to also attend) I had to share. 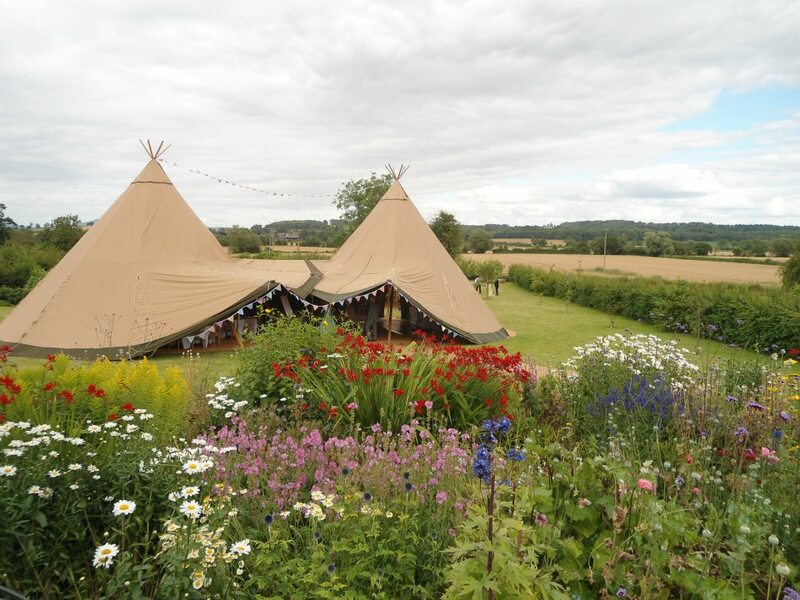 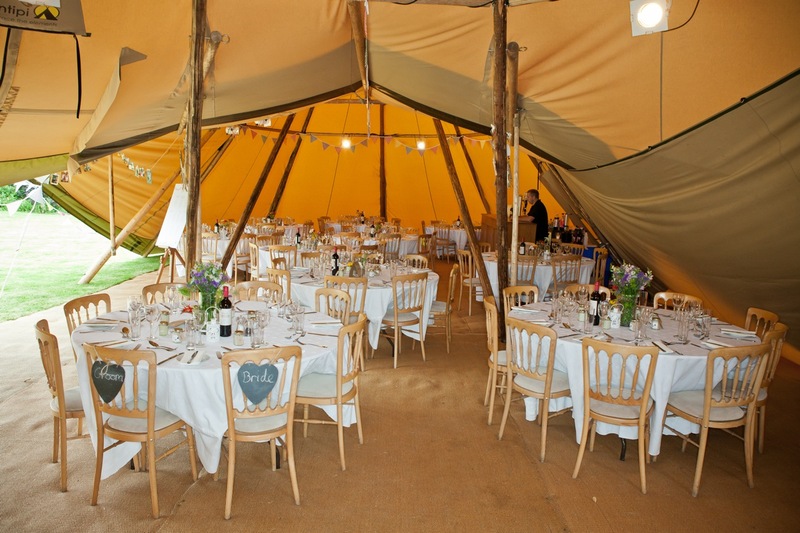 The reception was held in the most gorgeous setting, in the stunning Herefordshire garden of the brides mother, the venue an amazing tipi, creating a really unique event. Continuing the theme from the save the dates and the invitations, the day stationary incorporated the bunting and wild hedgerow / beehive imagery. 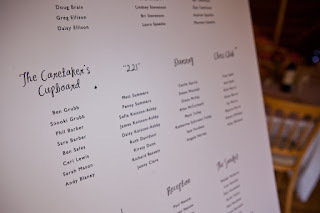 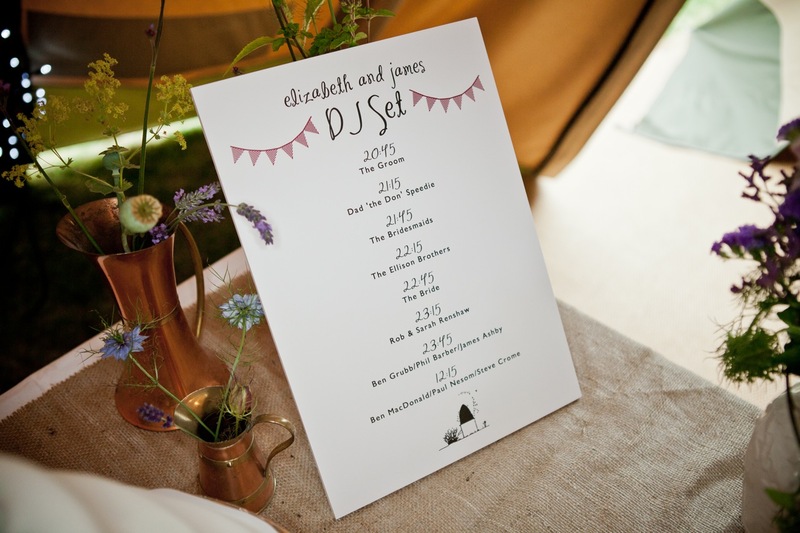 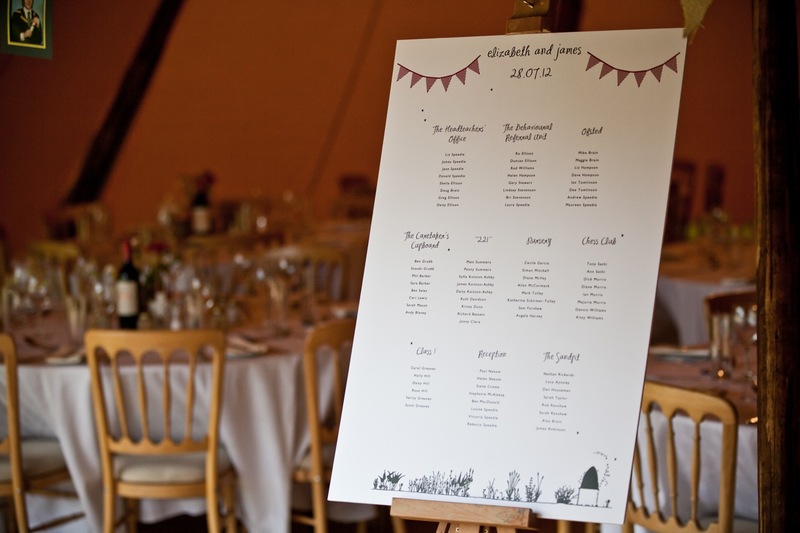 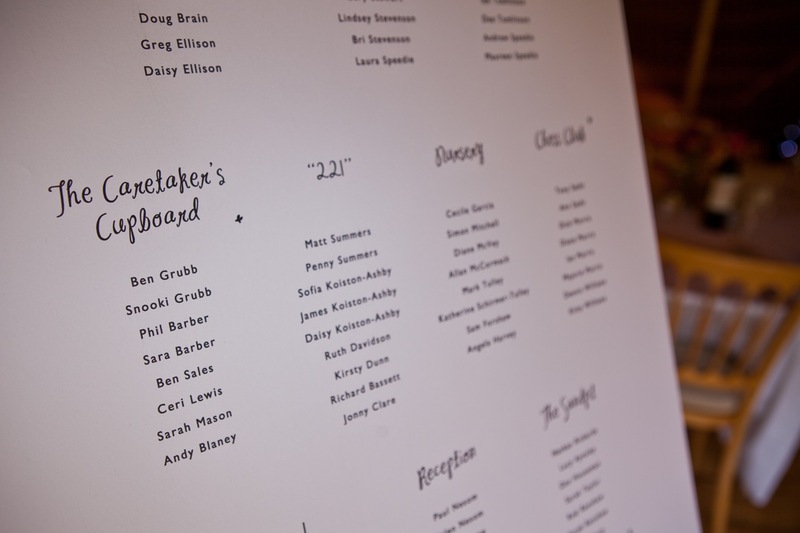 The table plan was set on an artists easel, fitting in with the style of the rustic setting. 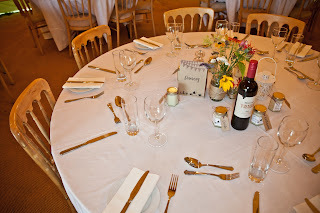 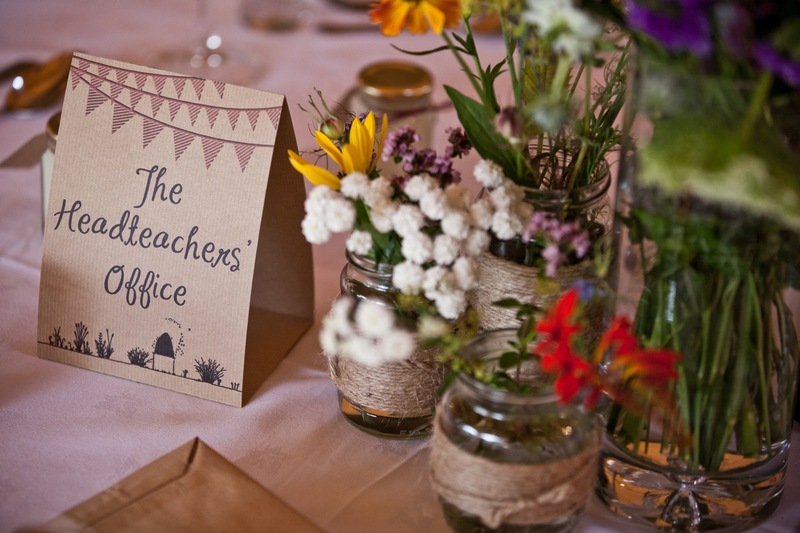 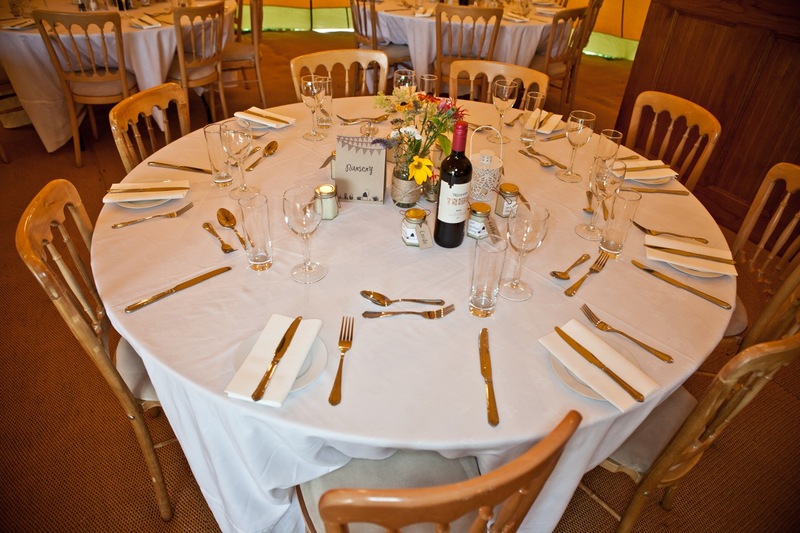 The tables were all named after school themed rooms, with the table name places as tri-fold cards, formed out of brown paper, sat amongst the beautiful wild flower settings. 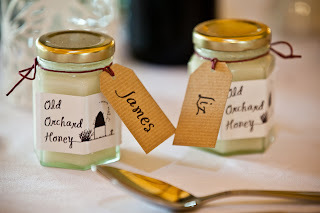 The favours were delicious small jars of honey, produced by the mother of the bride's own bees. The jars dobubled up as name places with brown paper name tags tied on using simple red paper string. 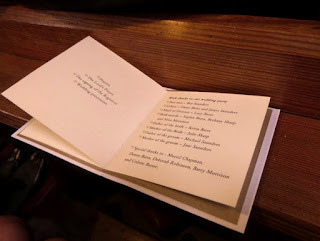 It really was a beatiful setting and I'm so pleased I was able to contribute something which, confirmed by the kind comments recieved that day, sat so well amongst it. Huge thanks to the very talented Ben Grubb for the beautiful photographs, you can see more of his work here. 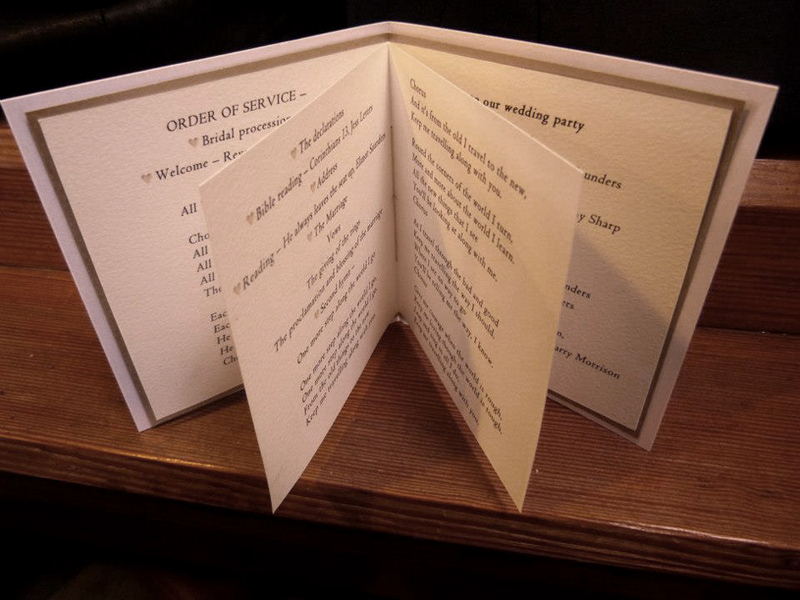 As some of my recent creations are being enjoyed as I write at a wedding in Nottingham, I thought I'd share a few images of the wedding day pieces I created for another Nottingham wedding. 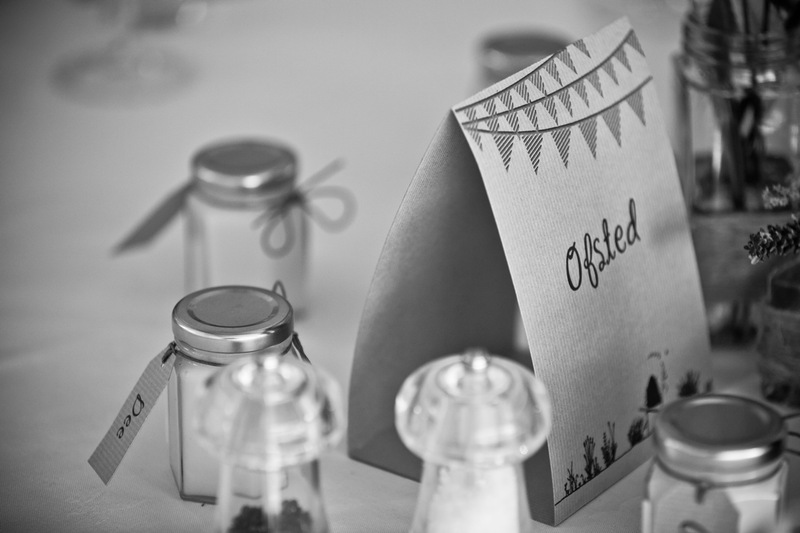 Katy and Sam were having a very traditional white wedding and wanted to tie the stationary into their themes. Continuing the style of their pocket fold invitations, I used the same pearlised card and gold paper to create these small hand bound order of services. 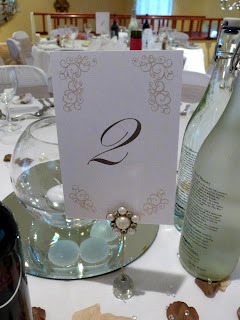 I also utilised the pearlised card and ornamentation from the invitations to create their table numbers which tied in wonderfully with the rest of their decoration. 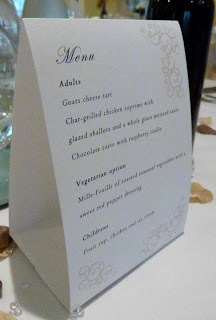 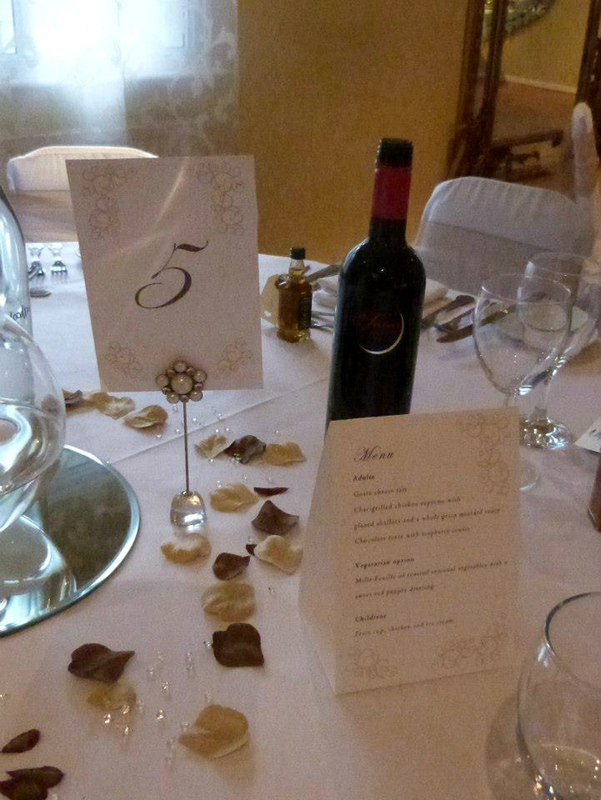 The menus were double sided and folded to form their own stand to sit on the table. 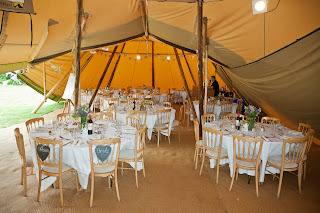 I was delighted to hear they had a truely wonderful day and I was honoured I could play a small part in helping them achieve it.